Contact us for with any inquiries, anytime! Our scenic Indian Lakes Golf Club gives the golfer a feeling that is not found anywhere else near Boise. Our Boise golf course is 18-holes and is perfect for all levels of golfers to be challenged while having a lot of fun. Our picturesque golf course will allow you to focus on your golf game and leave the distractions of life behind. 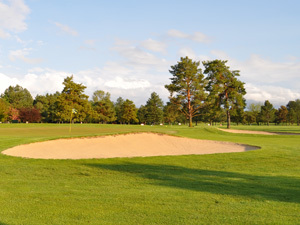 You will be able to test your skills with our long fairways, various water hazards and tactically placed bunkers. Following your round of golf, you will be wanting to come back and play more. Trees line the paths at this public course, designed for golfers of all levels. Surrounded by mountain views, golfers enjoy well-maintained greens on a naturally rolling terrain that will challenge all aspects of your game. Our clubhouse consists of a well supplied pro-shop with a restaurant and bar which are open daily. Bar opens at 11:00 am. Restaurant is Now Open! Come visit us and play Indian Lakes Golf Course today! ​With the good weather here we recommend calling ahead for tee time. There is no better time than now to play! What are you waiting for? Call (208)362-5771 now to book a tee time! Don't forget to check our special offers and use them to get discounted golf, gear, and beer!